A whopper of a stunning cascading rich lavender abundance ! 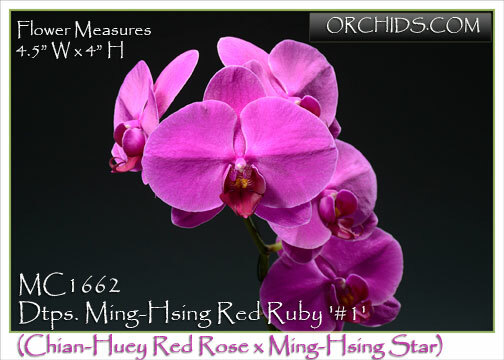 Producing huge 12.5cm flowers on impressive waterfall spikes, this hybrid stands out from a distance and is always a Blue Ribbon winner at every show. 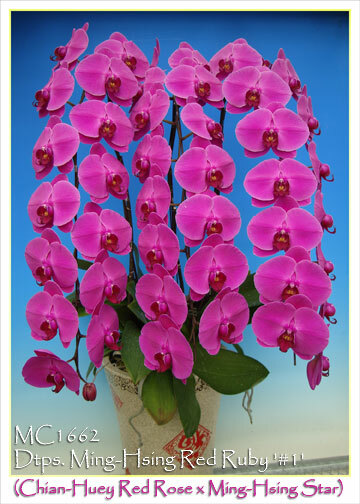 Perfect full-form flowers present themselves to their ultimate in their perfect spacing on each spike. 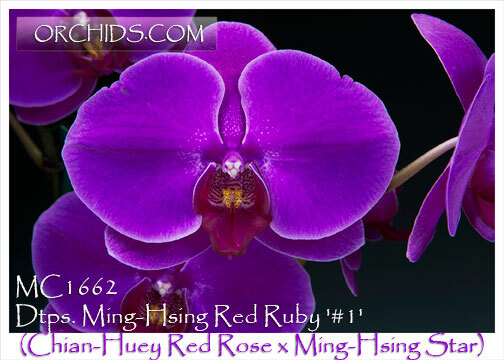 Ming-Hsing in Mandarin translates to “Star” and is one of my partner’s, Star Lin, exceptional new hybrids. Award Quality and Very Highly Recommended !